Want to win my heart? Scout out an abandoned warehouse, because you know I will love it and will want to take pictures there. 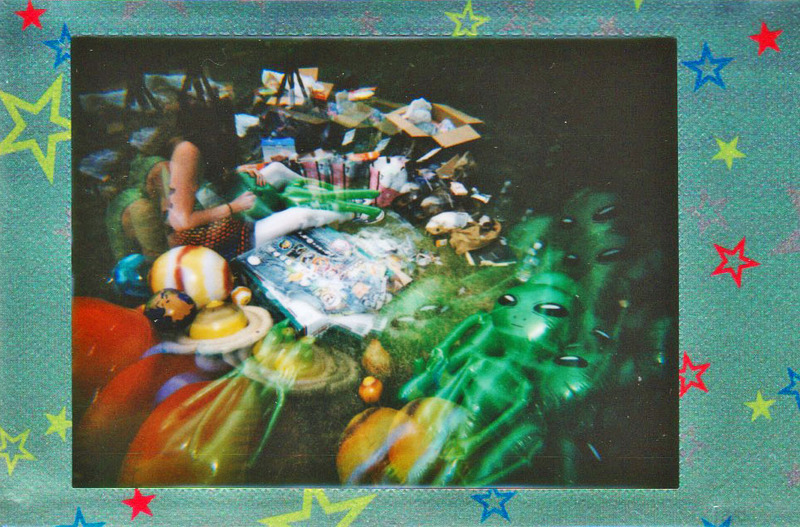 In the tiny little village of Colon, MI, there is an abandoned warehouse filled with porcelain, furniture, sewing things, mirrors… It’s crazy. There is a room where the floor is covered with Red Book and Better Homes and Gardens and Women’s Weekly magazines. There is so much to find, and I was fortunate enough to have a wonderful partner who found this place for me, talked to the owners, and won me an afternoon there. Since the place was so dilapidated, I knew I wanted to do something that went past the usual “urban decay” aesthetic that everyone loves so much (and what I find to be boring…) I was brainstorming my life away, bouncing ideas off my mother at 4AM, and a body of work formed in my head. Abandoned warehouse + virginal clothing = MUCH ART. VERY STATEMENT. WOW. Seriously though, this place was amazing. I found two rolls of Kodak film from 1965, which are more likely toast, but whatever– I have a roll of Verichrome and that’s all that matters to me. I also brought my Voigtlander Brillant V6, hoping to get some more vintage looking shots, but thank goodness I brought my digital camera with me because my film didn’t turn out so hot. Here are just a few that came out neat– they are nothing like what I wanted, but they are still cool and worth sharing. Weirdly enough, the markings on the paper that is on the 120 film ended up on my negatives. Light leak? I haven’t the slightest clue, but it looks awesome. I’ve been at this photography thing long enough to have seen enough decayed buildings to last me for the rest of my career. But man, this was a special place. It is currently owned by an Amish couple (I think? Maybe a lot of Amish folks own it, idk,) and they sell the antiques that are currently in the building. It’s a really neat set up. That’s all for now. Go forth and shoot creatively in abandoned buildings! I moved to Chicago. It’s a thing. I took pictures of the process. Because I moved to Chicago to study for my Photography MFA. Photography. That’s me. Photos. Yes. Very. Let me tell you, moving to another state is hella weird. But, I’m happy. My new apartment is right next to the el (which is Chicago’s public train system, “el” short for “elevated.) I hear trains go by all day everyday, which is amazing and not annoying, to be honest. I had my room unpacked in a day. Yes, I have a mountain of galaxy printed pillows. That’s because I like stellar sleep. BOO-YAH. I took my boyfriend around the city a little bit, since he’s never been to Chicago to explore, so that was lovely. 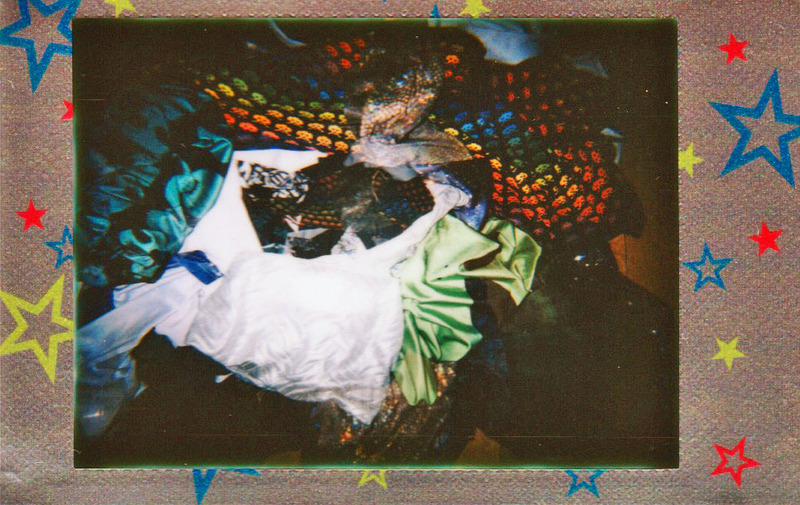 All of these were taken with a Fuji Instax Wide, because nothing says “moving is fun,” quite like instant film. Oh, and Jafar is apparently a Disney Princess now. Legitimately a series about people’s stuff. This idea occurred to me years ago, but at the time I didn’t have the means for execution (so, basically any shoot I come up with ever.) I don’t know why, but this summer I decided I wasn’t putting it off anymore, and I was going to do this series at last. And I adore it to pieces. I love seeing what people collect and why. It is so fascinating, the things people collect, and it goes beyond collecting erasers or rocks (which are great to collect, btw.) Some have big collections, some have small, some have strange collections and some have collections of things no one has ever heard of. It is fantastic. Me and my rubber duckies are so fabulous, even Ernie from Sesame Street is foaming at the mouth in a jealous rage. I chose the set up carefully. I thought about photographing people in their homes with their collections, but I just had a gut feeling that wouldn’t yield the results I wanted. Putting people on a white background felt organic to me– the sitter would be isolated, with no distractions, with their objects. The viewer can only focus on them and their collection, which is spectacular, to draw conclusions and shatter expectations. I asked my sitters to relax their face and not smile, something I learned from working with Jochen Gertz and his project, The Gift. With a neutral expression, the focus is on what I intended: the individual and their relationship with objects. So, yeah! These are the first 9 images, and I’m not planning on stopping anytime soon. I have even more of these to edit currently, but I wanted to give you guys a little background on this project. A kind of common thing I do is orchestrate large photo shoots with sets that take months to prepare. My last big “set” was the shoot I did with the gas masks last November. This time, my friends and I had one last hurrah before I move to Chicago and start my adventure there. We just kinda partied in outer space, or as I call it, the vacant lot near my house where people smoke joints and kids go dirt-biking. Not like that matters or anything. I spent six months planning and gathering the things I wanted and needed for the shoot. It turned out much different than I was anticipating, but hey, when does that NOT happen? Story of my life, my friends. I was able to play with some of my lighting tricks, something I was not anticipating a few months back. Can you say SUPAH NOVA THROUGH AMBIENT AND STROBE LIGHT MIXING? Because I can. SUPAH NOVA THROUGH AMBIENT AND STROBE LIGHT MIXING. So the idea was there were these alien enthusiasts, kind of like conspiracy theorists, who strongly believed in aliens or whatever (my eloquence is overwhelming, I know.) 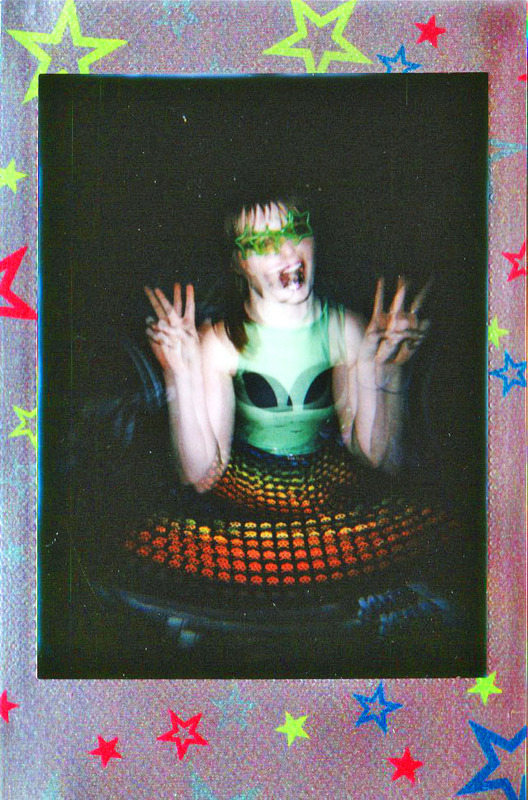 So one night, while hanging out at their campground for weirdos, looking out for aliens, they have a surprise encounter and everything is awesome. 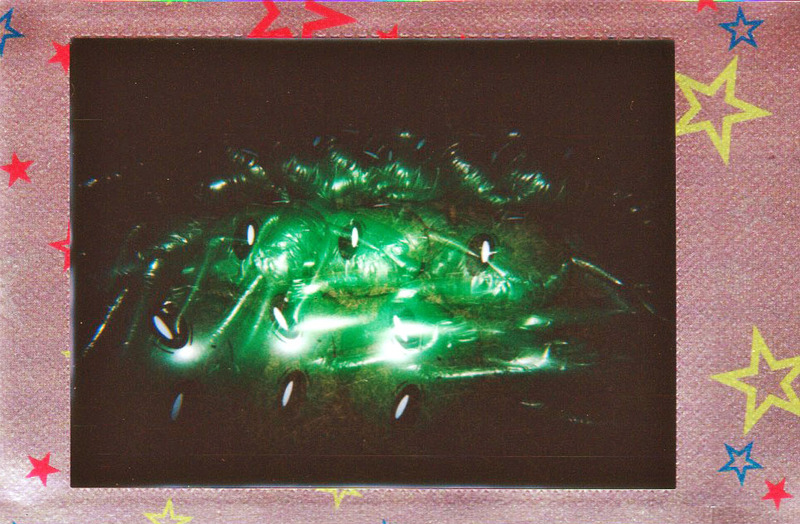 I busted out the Instax Mini and some special film (Shiny Stars, I think? I got it from eBay.) 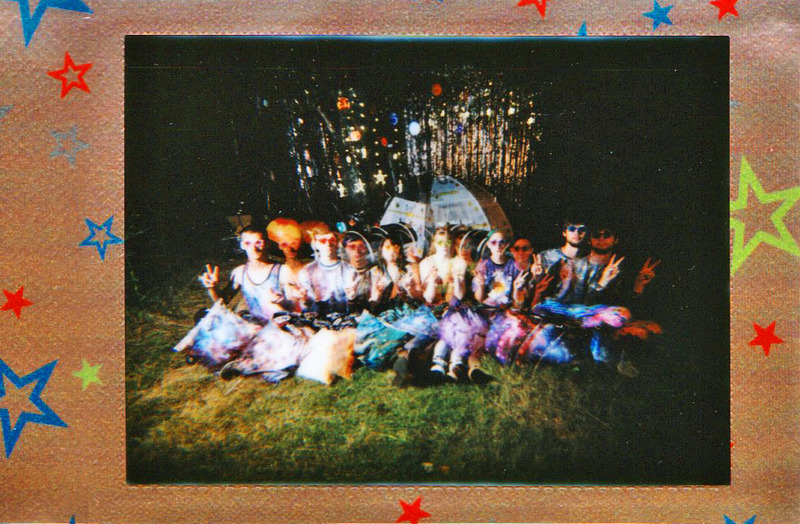 I was taking pictures of the set, things lying around, and a group shot of my homies throwing up a peace sign. Oh, and I took a picture of the pile of clothing that needed to be laundered after the shoot. 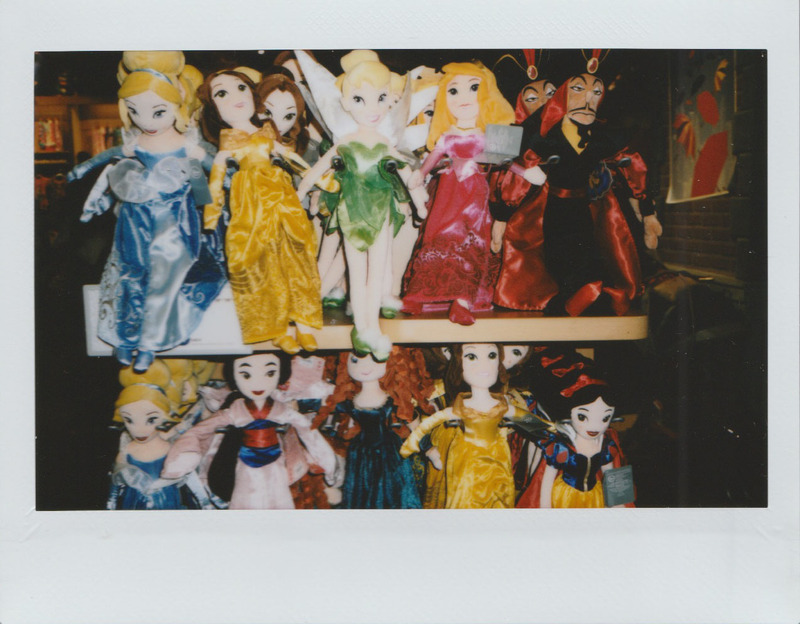 I have the Lomo Instax Mini, which gives you MX capabilities. It is seriously my favorite, and if you are thinking about getting a Mini, I HIGHLY suggest the Lomo one. Do it and be happy and live life with no regrets. We had a blast with this shoot, it took 4 hours to set up, and we got done past midnight and went for milkshakes. I would have to say it was a great way to close my summer and days in Michigan. Shout out to everyone who was able to make it special. Good things come to those who wait. Unfortunately for me, I can’t wait six months to do one shoot while in grad school, so, uh, wish me luck friends.